Magnificent countryside mixed with 18th century Georgian architecture make this one of England's most attractive cities. Saying that Bath is a unique destination is an understatement. The fantastic city centre and beautiful cobblestone streets have awarded this city a UNESCO World Heritage site designation. An ultimate spa destination for locals and tourists alike, Bath has been some to some of the most luxurious spa resorts for thousands of years. Bath is most popularly known for being the home of Stonehenge, one of the most iconic prehistoric monuments in Europe and the world. This fascinating site was built in the late Neolithic period around 2,500 BC, and how it was constructed is still a mystery. The orientation of Stonehenge around the setting and rising sun is another remarkable feature that will leave you with a sense of wonder. 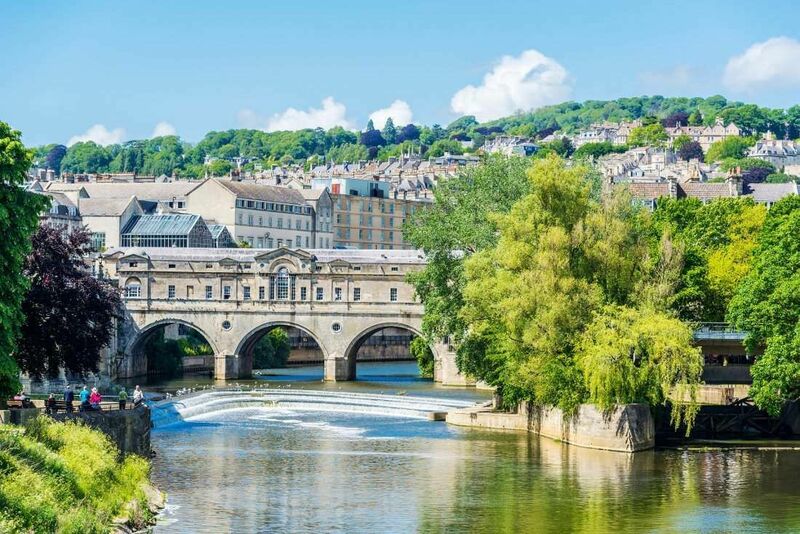 Whether you’re looking for a romantic getaway or a fun family holiday, you can be sure to find what you are looking for (and then some) in Bath. Walking tours are a perfect way to see Bath and its attractions it all in a short amount of time. Check out some of the free walking tours that are available throughout the year, and enjoy everything that Bath has to offer free of charge! This free walking tours is ideal for the first time visitor of Bath. It includes the most important points of historical and architectural interest and lasts approximately 2 hours. See the top attractions and walk with some of the most knowledgeable guides in the city. You can download a free walking tour by Bath Tourism Plus. In the Footsteps of Jane Austen takes you around the highlights of the city and includes extracts from Jane Austen's novels and letters. This exciting tour describes Bath as it would have been in its Georgian heyday, making it an attractive alternative to the modern walking tours. The World Heritage Site Audio Tour is a free walking tour that you can download free of charge. It takes you on a captivating journey through the city's history and architecture and walks you to the highlights of Bath. The tour includes various locations, museum, and points of interest. You can adjust the length of the trip to your liking, and pick and choose which attractions you'd like to hit. Below you can find more popular (but not free) activities and tours in Bath. Are you from Bath and want to be a tour guide? Please get in touch by submitting your details on this page!